With a lack of successful work in the last 48 hours, I’m resorting to posting a sketch from last spring when the lilacs were in bloom and very inspiring. 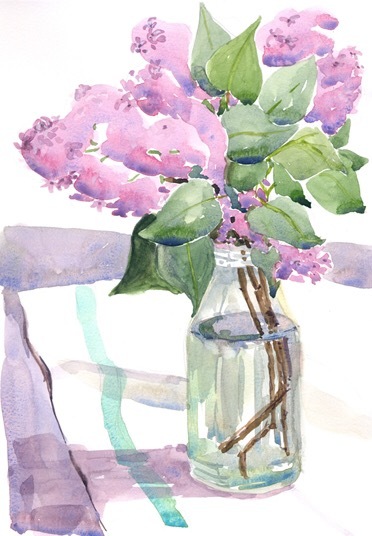 The emotional connection to the subject matter really does matter — I love lilacs! Previous: Previous post: Yellow shape, green shape. And repeat.